At Capital Business Center (CBC) our aim is to help our clients with high quality Business Solutions. We are in a country with a growing private sector that has an increasing number of companies requiring professional business services. Capital Business Center (CBC) will provide the best services and work environment to help in the growth and success of our clients. Capital Business Center (CBC) offers market expertise to companies seeking to enter and develop new sectors in rapidly growing markets. Our business services will allow companies to achieve their goals with the best solutions, minimum cost and from a competitive location. Office Accommodations, Business Services, Amenities and Technology. 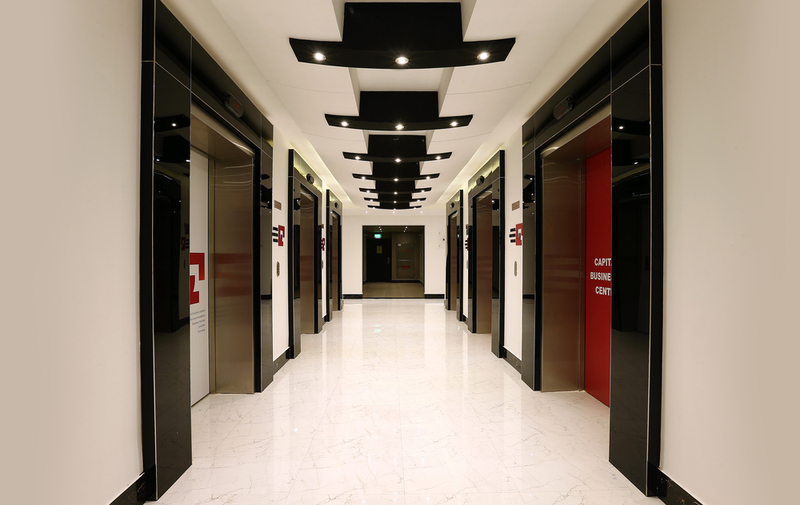 ﻿Located on a huge space (1685 sqm) on the 12th floor of Prestige Tower attached to the Capital Mall. CBC offers individual offices, small corporate suites, executive office, conference rooms, lounge area, reception area and a beautifully landscaped Indoor Garden. 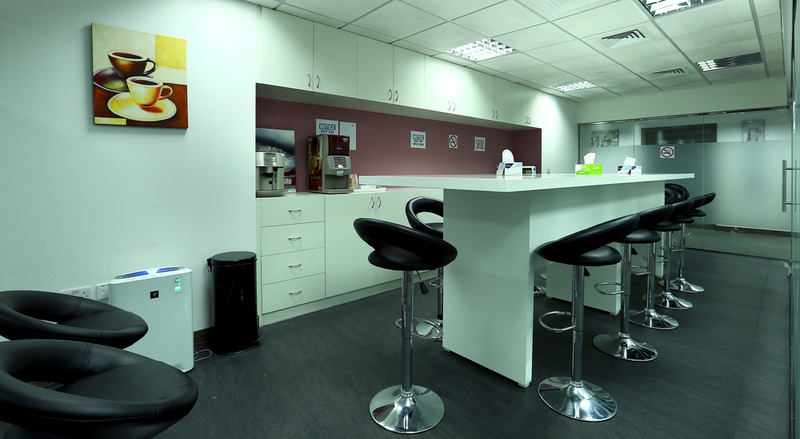 The facility is staffed, equipped, furnished and managed like a corporate organization. 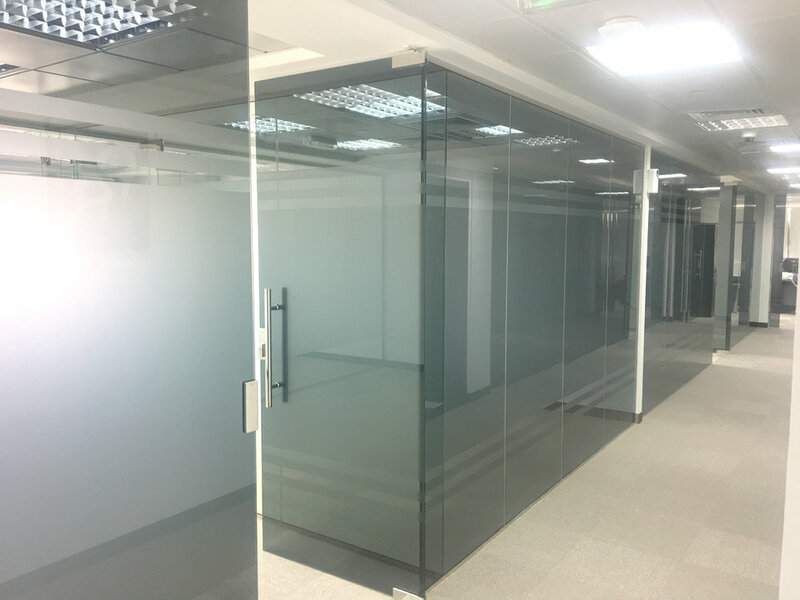 The clients pay a monthly fee that covers the use of office space and services such as answering calls, reception and facilities management provided by the business center. Other services like: Faxing, copying, word-processing, high speed internet, legal consultation, PR services, translation are available on a la carte and are billed separately as used. 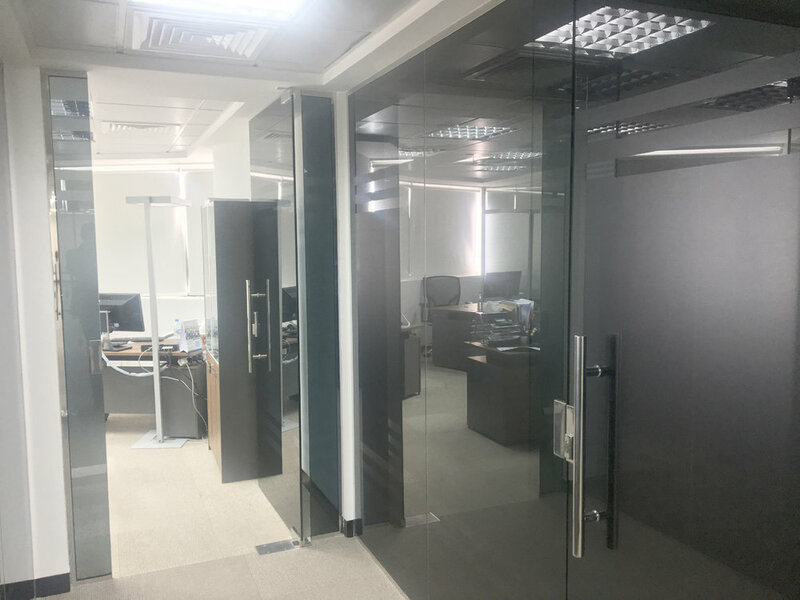 Serviced offices are available to occupy or vacate on flexible terms and tailored to the specific business needs of our clients. All you need to work smarter and better. Optional secretarial service for Arabic & English typing and translation. Public Relations services according to your needs. Direct access to Capital Mall. Reliable IT and communication systems. Modern IP telephone system with private number. Wireless High speed Internet connection. 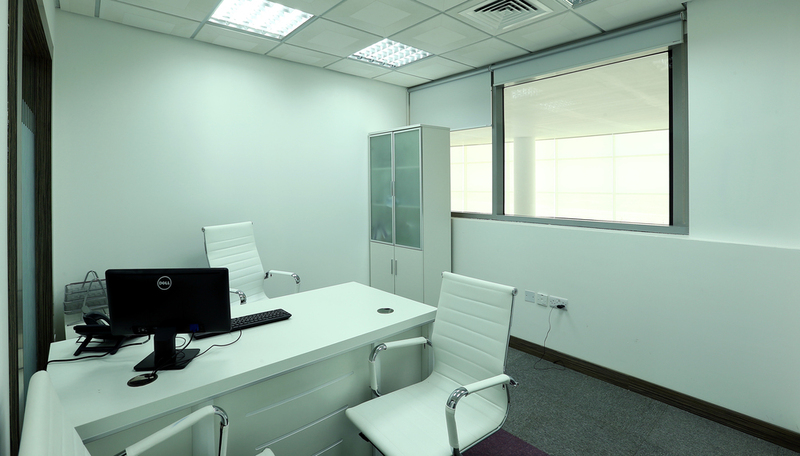 Fully furnished office 2 to 8 desks. 24 Hours Access and Secured Building. Free underground private parking for Tenants & Visitors. Complementary call answering & mail handling.